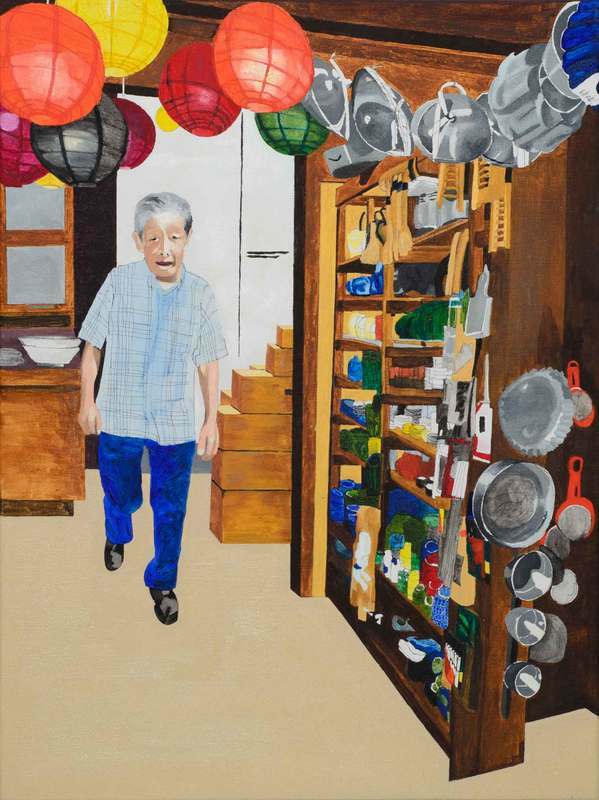 Gung Gung, Annie's grandfather, appears from the back of his shop to see what the commotion is all about and to ask Annie to buy a small snack for lunch next door. Thank you for your interest in buying the painting "Back of Shop." As soon as I receive this request, I will contact you to confirm order details and total amount of purchase.